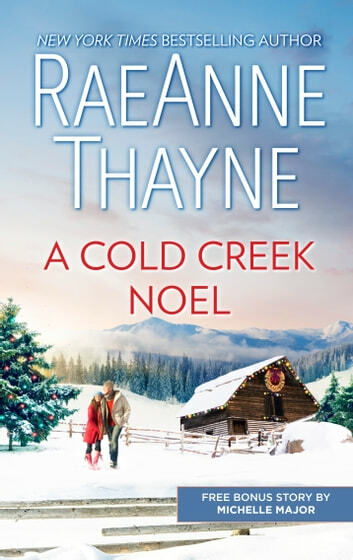 A lonely widower and his children find comfort and a chance at a brighter future in this heartwarming Christmas tale by New York Times bestselling author RaeAnne Thayne! Caidy Bowman had been the apple of her family’s eye—until a devastating tragedy forced her to hide from the world. She was used to devoting her time to the animals on her family’s ranch. Then widower Ben Caldwell and his two adorable children arrived in Pine Gulch, and suddenly, Caidy wanted more than a life in the shadows…. As the town’s new vet, Ben needed a place to stay for the holidays—and for his family to heal from their own loss. He absolutely wasn’t looking for love again! But Caidy Bowman’s sparkling green eyes and sweet smile touched Ben’s broken heart, giving him hope for a new future. Their future—if he could convince the beautiful cowgirl that Christmas was a time for new beginnings…. For years there’d been only one woman in Liam Donovan’s life—his beloved nanny, who’d raised him as her own. But someone is clearly taking advantage of Ruth, which brings the studly CEO back to Crimson, the place he was all too happy to have left behind. 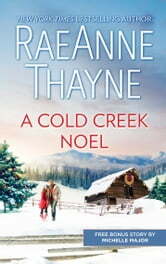 And there Liam finds Ruth has live-in help—in the form of his high school love, Natalie Holt, and her adorable son… He better not fall for Nat a second time—because what if she is the cause of his nanny’s missing money?